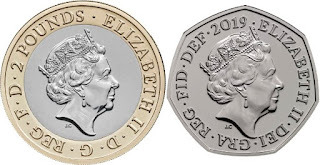 The British Royal Mint is getting used to it with each new year that it starts showing us its new commemorative coins destined for circulation. 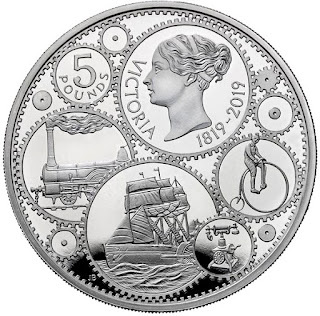 Today we are going to know the five novelties for this 2019, three with facials of 2 pounds, of bimetallic type, one of 50 pence and one of 5 pounds, this last one although it is not used as means of payment can be considered circulating, because it has releasing power. 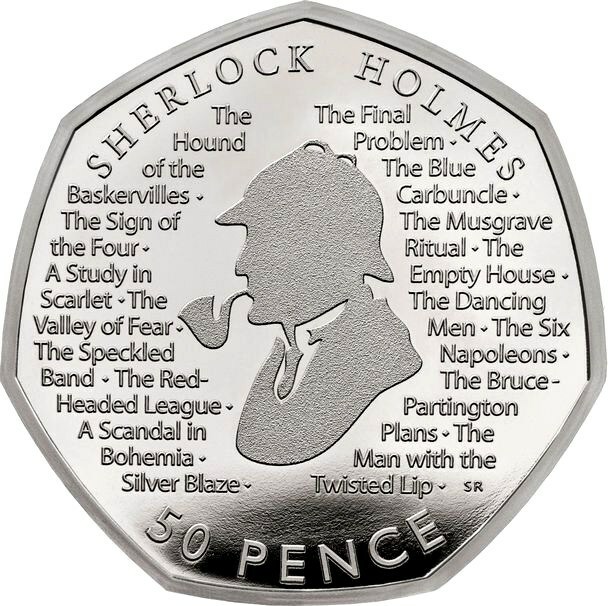 The 50 pence coin serves as a tribute to the 160th anniversary of the birth of Sir Arthur Conan Doyle, the author who brought Sherlock Holmes to life. The classic silhouette that represents Sherlock Holmes, is the central motif of the coin, the image of the world famous literary detective is surrounded by some of his most famous titles. 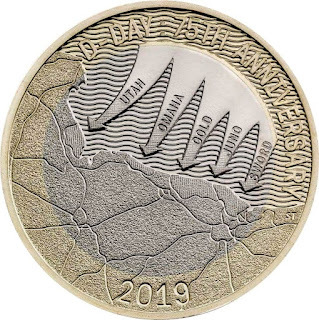 This coin pays tribute to the courage of the Allied forces that participated in the D-Day landings and of which the 75th anniversary is celebrated on June 6. The Allied invasion of Normandy in 1944 was the largest maritime invasion in history. 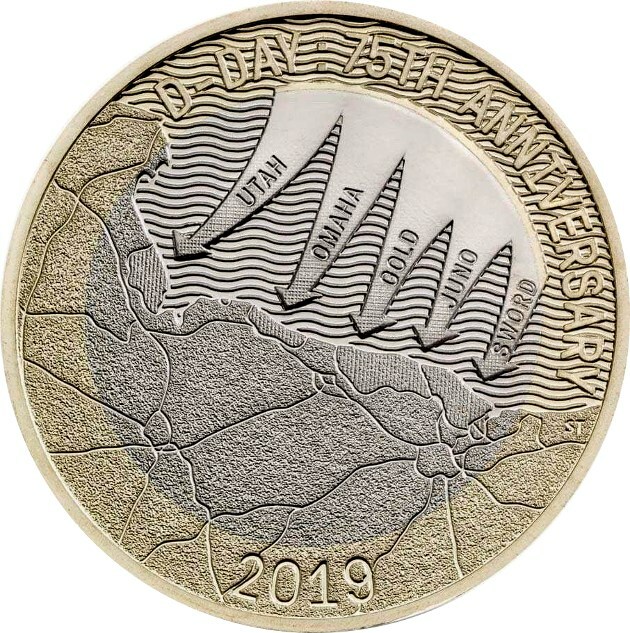 The coin shows the locations of the Normandy landings, naming the chosen beaches: Utah, Omaha, Gold, Juno and Sword. 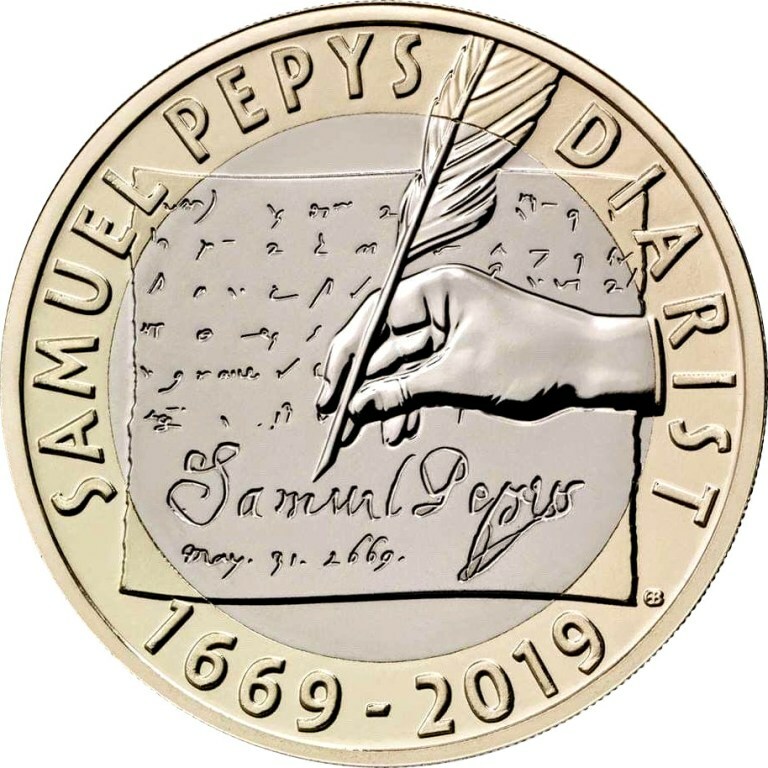 The diarist Samuel Pepys, who chronicled the Great Plague of 1665 or the Great Fire of London in 1666, has also been honored with a coin at the 350th anniversary of his last entry. To this day, historians continue to use their diary to gain greater knowledge and understanding of life in London in the seventeenth century. 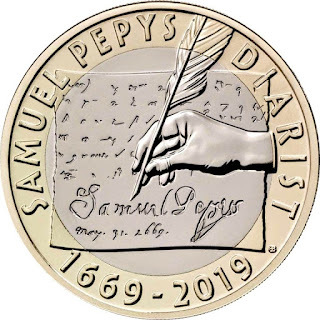 The detailed private diary that he kept between 1660 and 1669 was not published until more than one hundred years after his death. 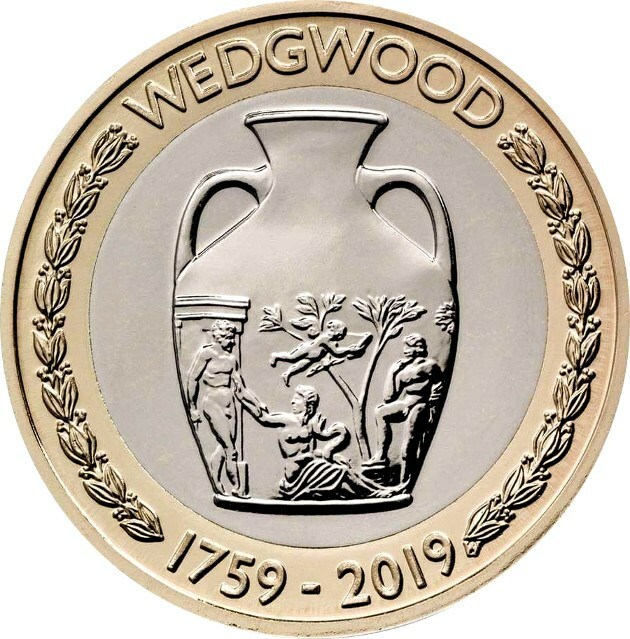 The 260th anniversary of the founding of one of the most famous ceramics companies in the world, has been chosen for the issuance of a 2-pound coin. 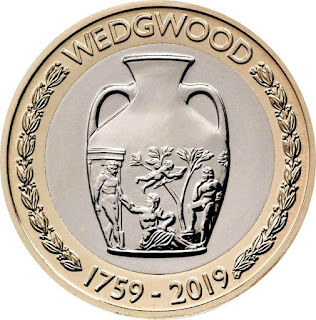 In 1759 Josiah Wedgwood set up a factory of his own at Ivy House Works, where he began to make a fairly new-looking ceramic with a bright and luxurious glaze that triumphed among the nobility of the time. 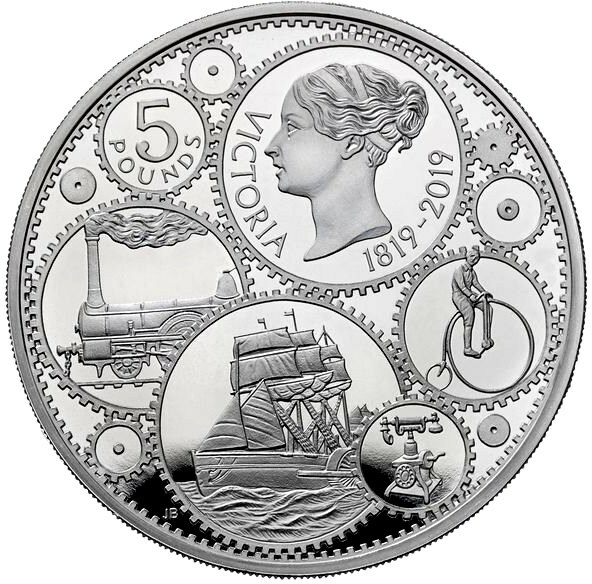 Queen Victoria, born in May 1819, appears on a beautiful 5-pound coin, along with a phone, a bicycle and other icons of her six-decade reign. All the coins count on the obverse with the traditional image of Queen Elizabeth II.